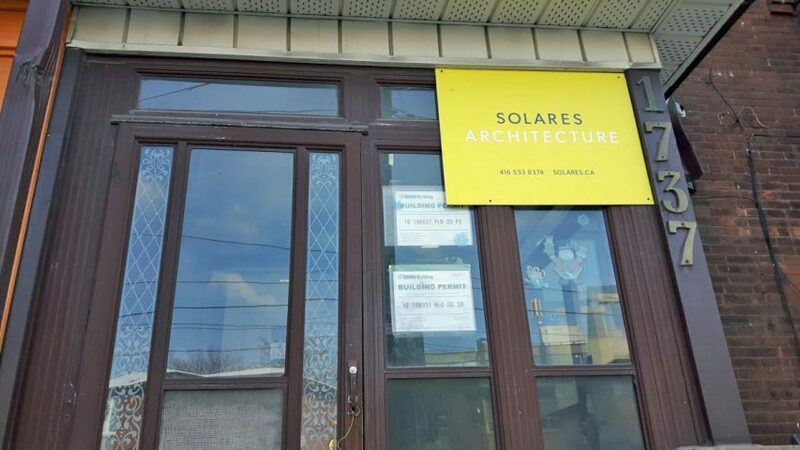 This is the first Eco Flats creation of Solares owners Tom and Christine. 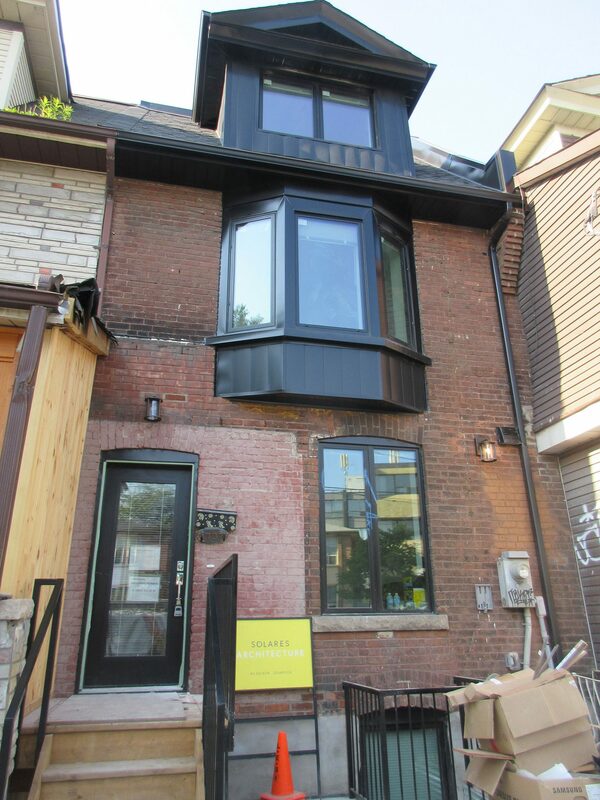 They bought this building and did a Deep Energy Retrofit, full-gut renovation. 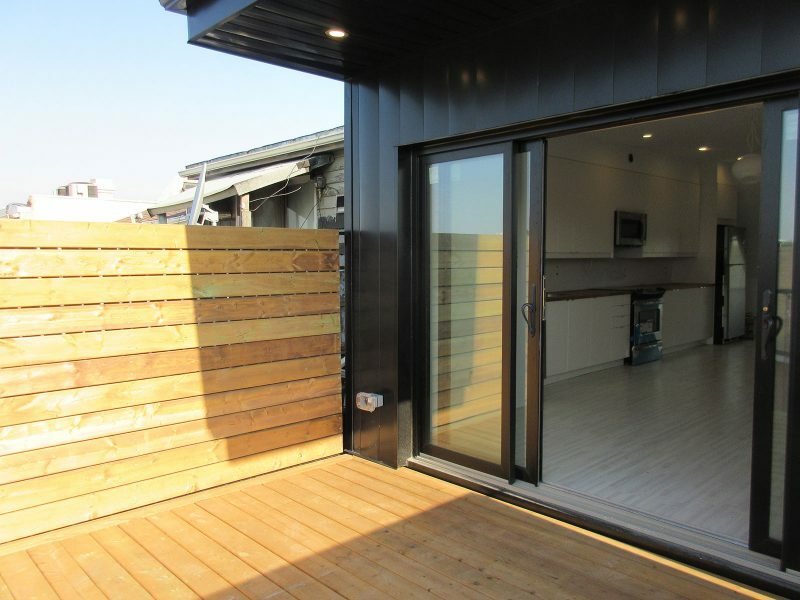 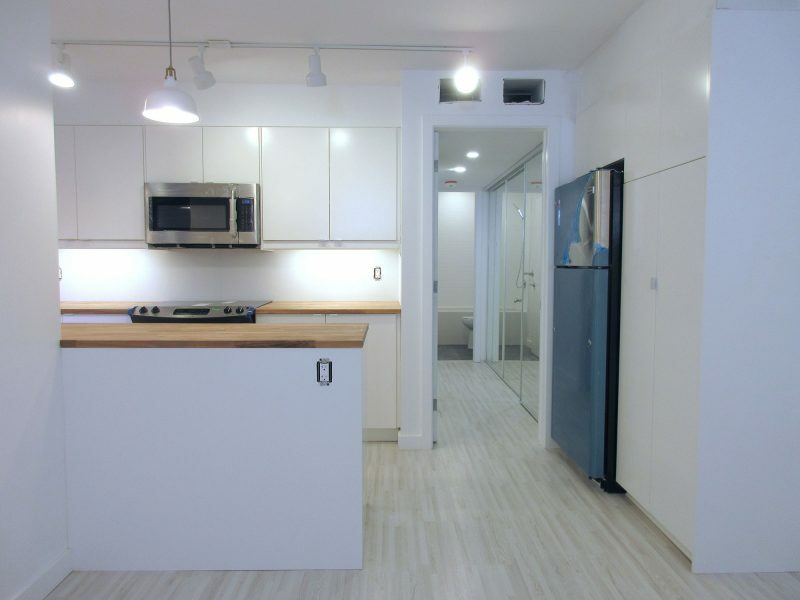 The result is a rental building that’s home to three all-electric dwellings. 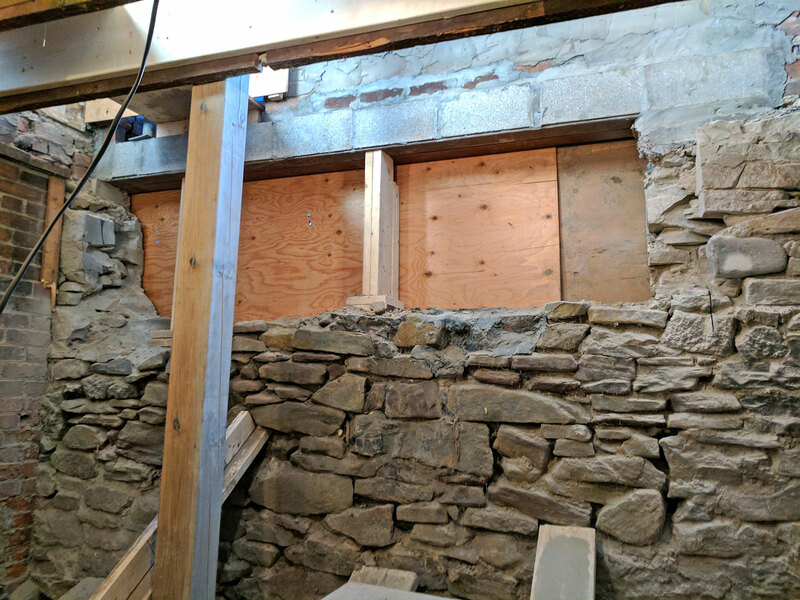 Everything in the building is run on electricity; the gas hookup was completely removed. 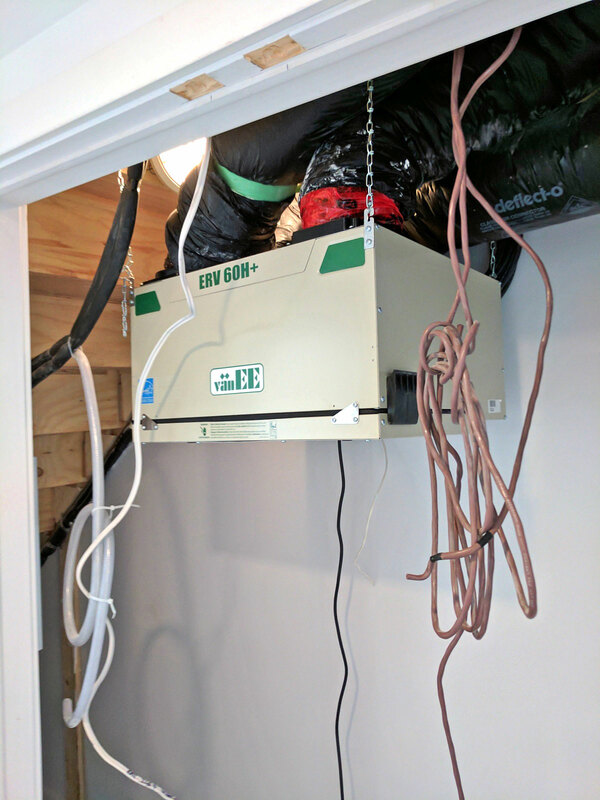 Because of the energy efficiency of the design and equipment, the electricity bills are extremely low, even though they account for everything: heating, cooling, hot water, cooking, lighting, plug loads, delivery, regulatory charges and taxes. Housing three apartment units, and boasting extreme energy efficiency, this project is a showcase of how beautiful and efficient rental apartments can be. 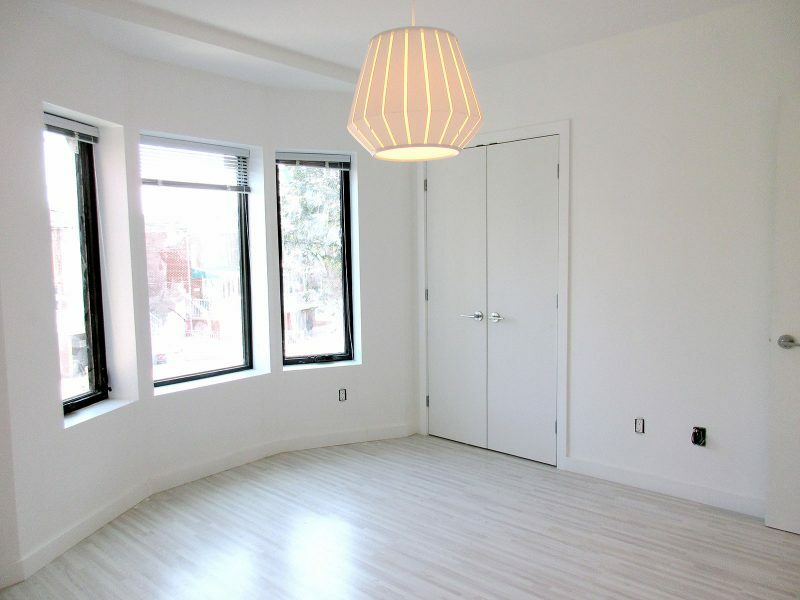 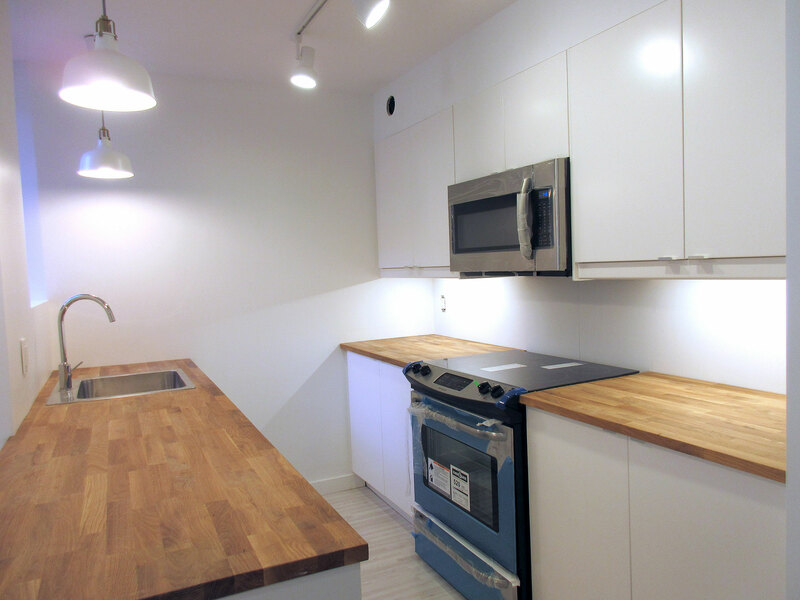 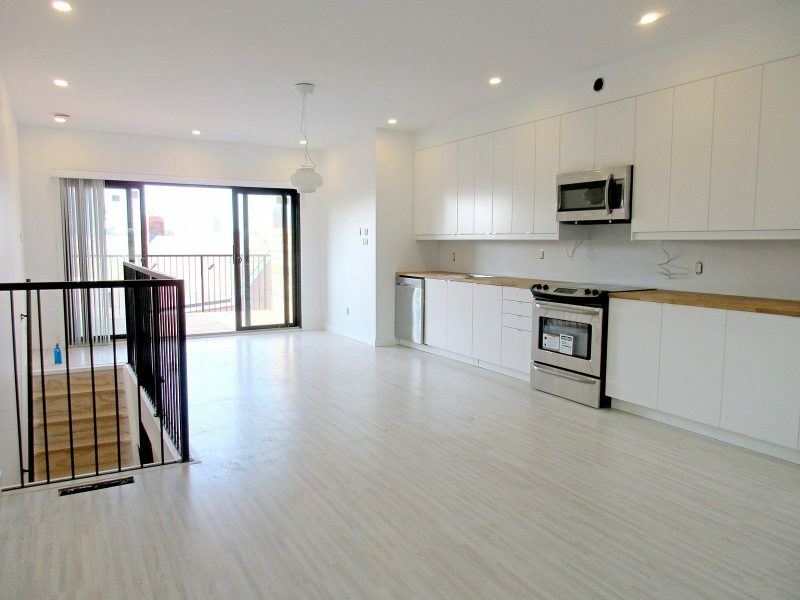 Eco Flats #1 is comprised of three rental units: a one-bedroom apartment in the lower level, a one-bedroom on the main floor, and a three-bedroom on the second and third floors. 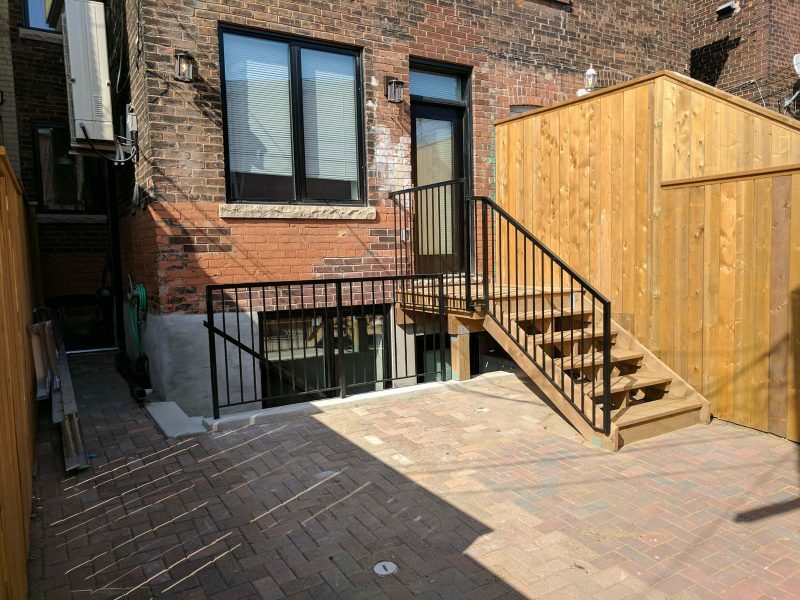 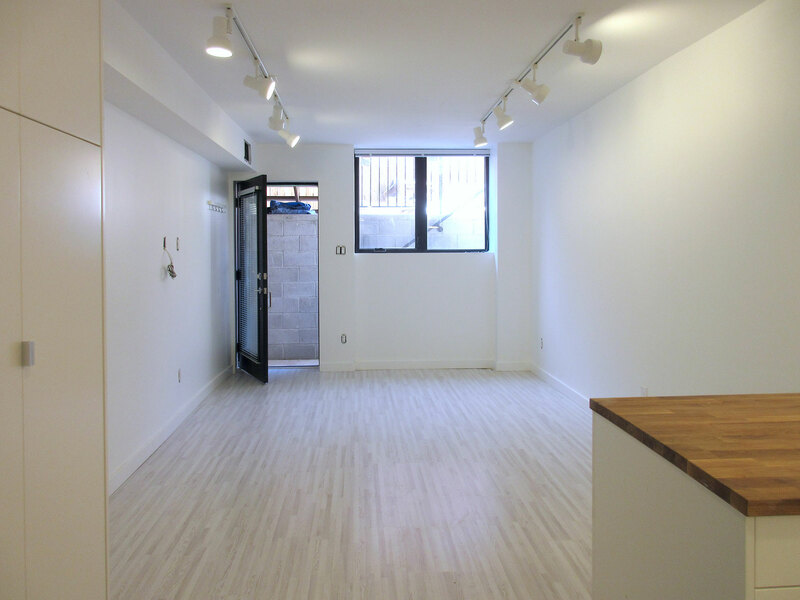 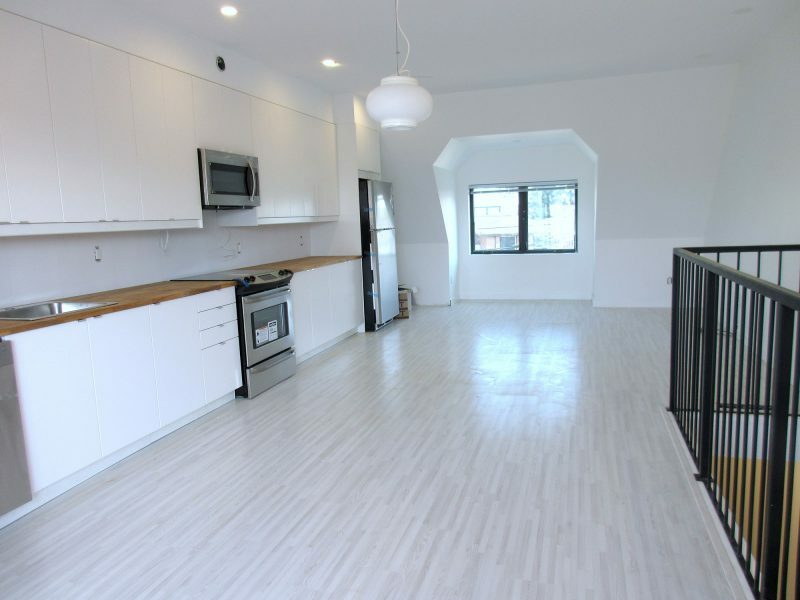 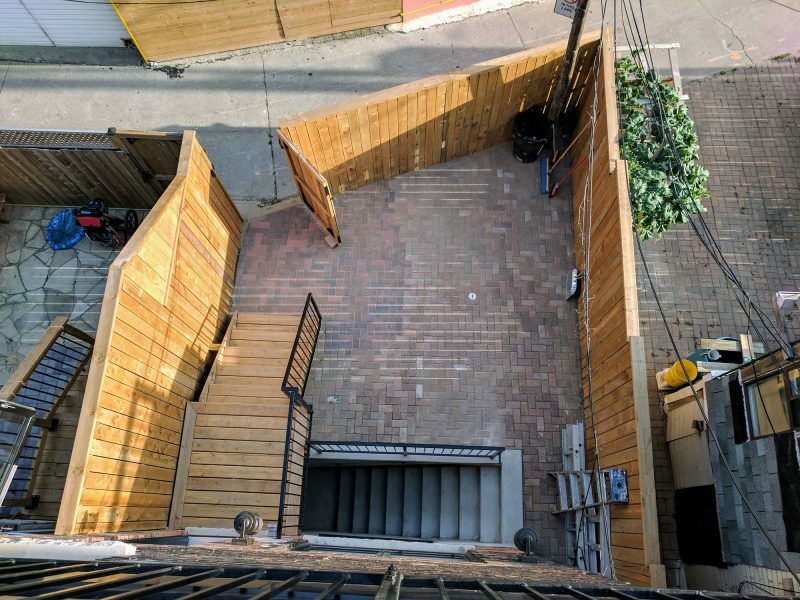 The basement and main floor units are accessed through the rear courtyard off the laneway, close to Lansdowne Avenue, and the upper three-bedroom unit is accessed by the front door on Dundas Street and has its own private south-facing roof deck. 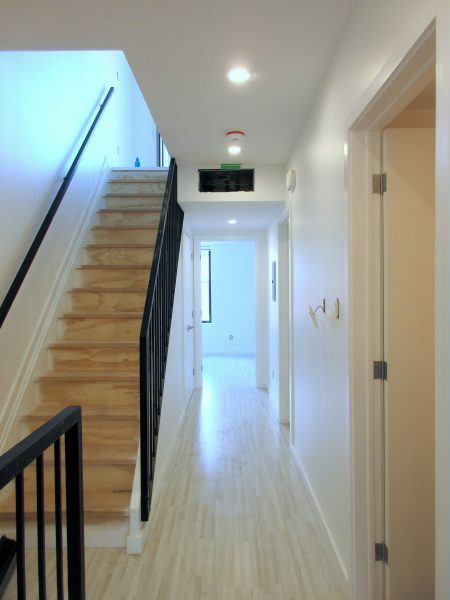 Each apartment is outfitted with the same energy efficient equipment, interior finishes, great layout, and loads of natural light and fresh air. 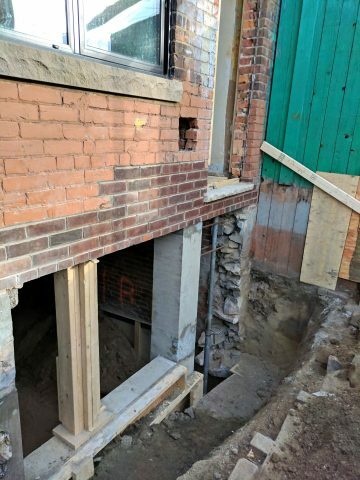 Construction for this project was quite involved, including stripping down the interior right to the brick, significant underpinning of the lower level, stabilizing the floor structures, fixing decayed brick, minor asbestos removal, and major changes to the rear wall to accommodate entrances to the main floor and lower level units. 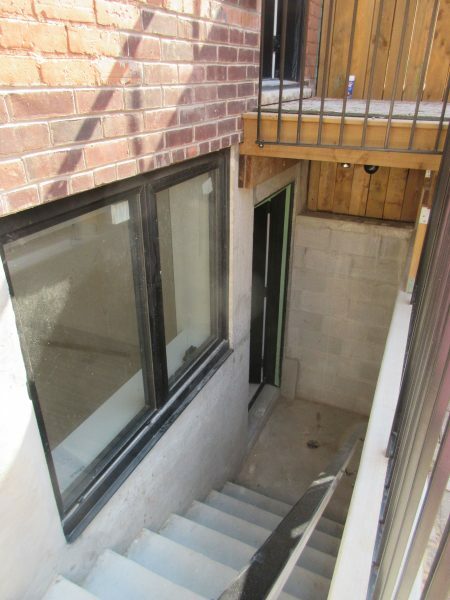 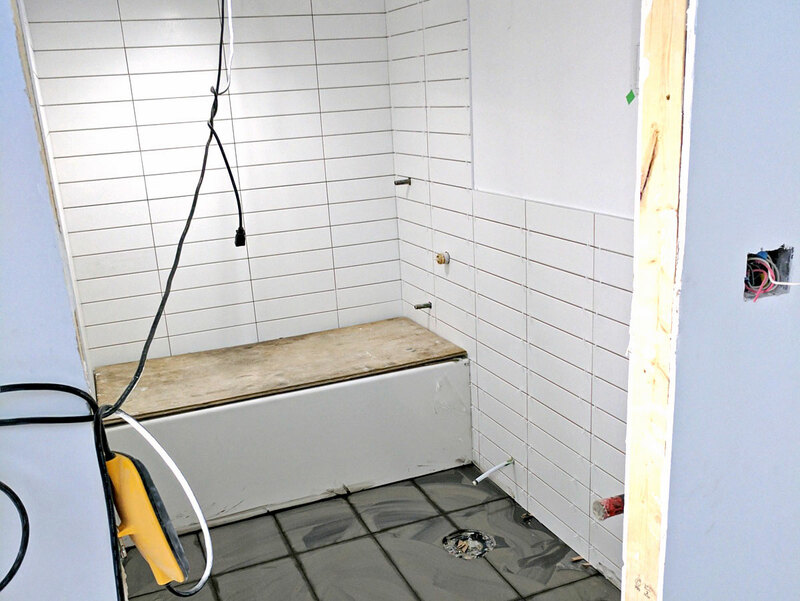 Significant care and attention went into ensuring an extremely well-sealed building envelope. 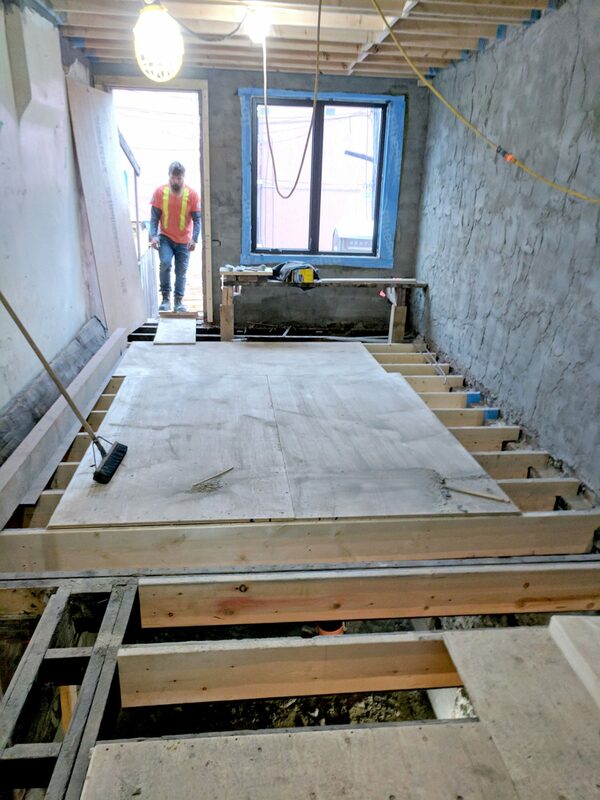 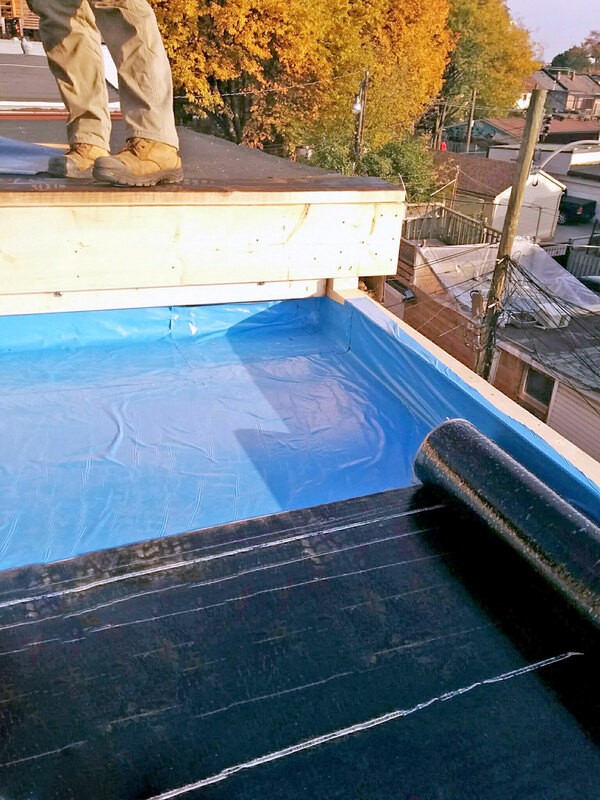 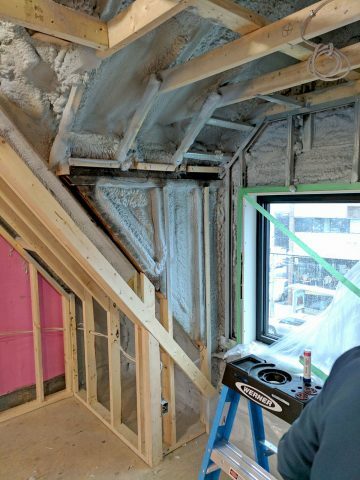 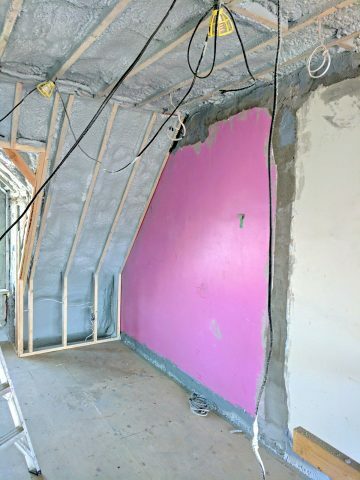 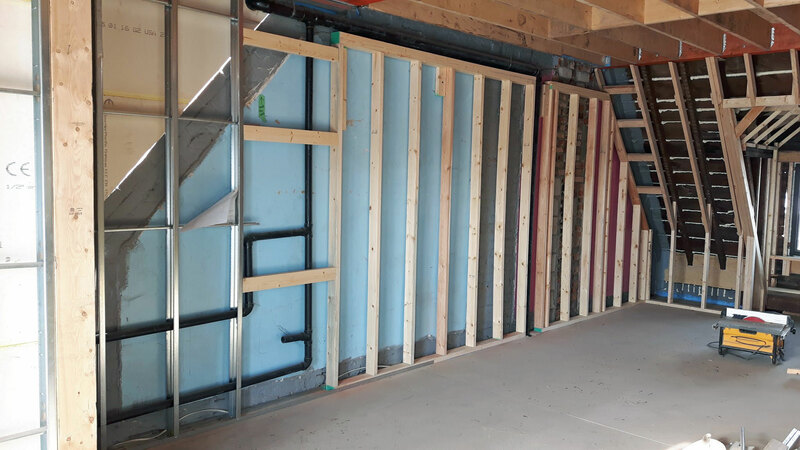 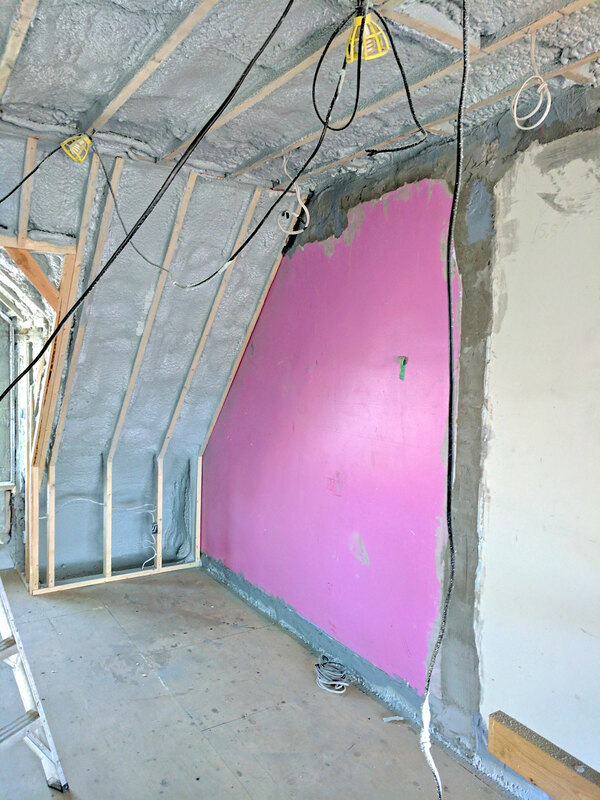 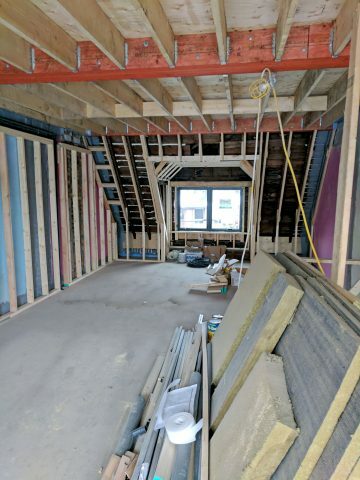 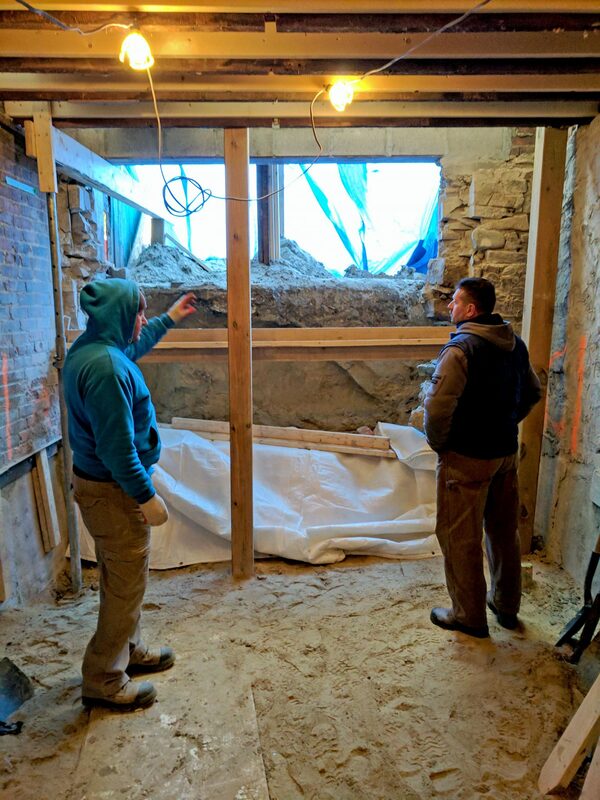 Fine attention to detail went into the execution of the construction, and air tightness testing was performed at three different points in time: during construction pre-drywall, after drywall installation, and again after all air leaks had been found and sealed to confirm the final results. 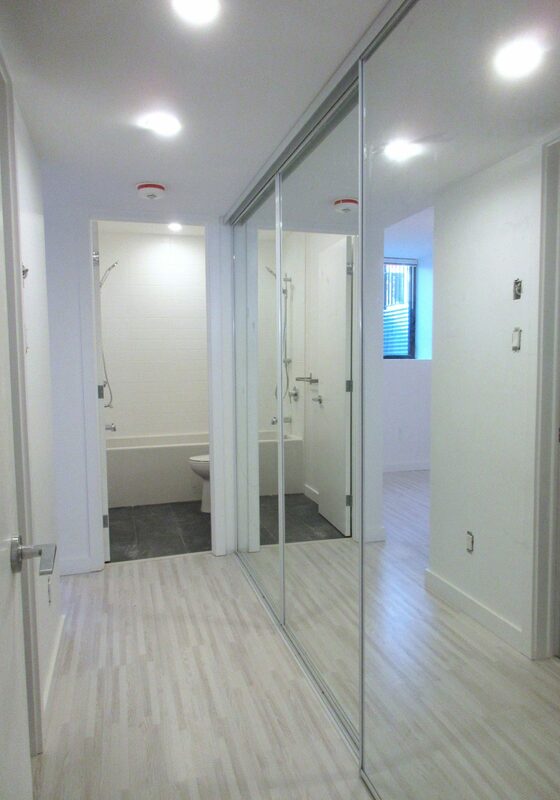 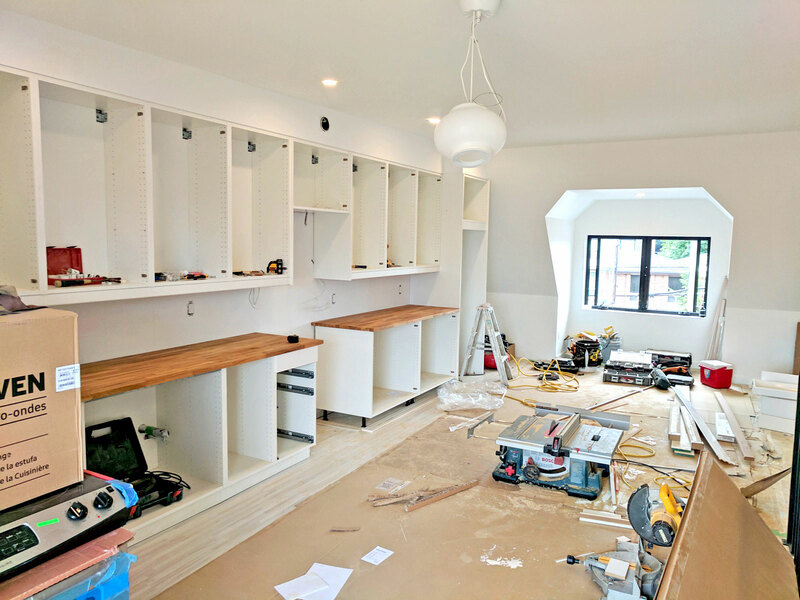 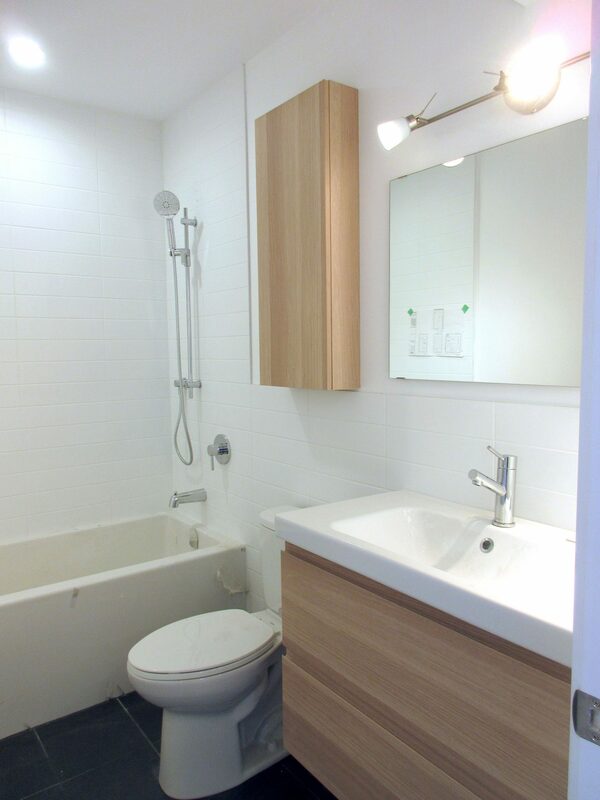 In addition to the air-tight envelope, energy efficient mechanical systems were installed, and clean, white interiors were fitted out for rental.